The objective of the Electrical Lineworker Program (ELP) is to provide the opportunity for students to embark on a meaningful and rewarding career in the electrical line work industry. This is accomplished by providing training methods that have proven to be extremely effective in preparing students to be highly successful employees. During the 15-week program, students will be trained in three educational areas: Academic Training, Field Training as well as Certifications & Skills. Student/Teacher ratios during the field training environment are 16:1. 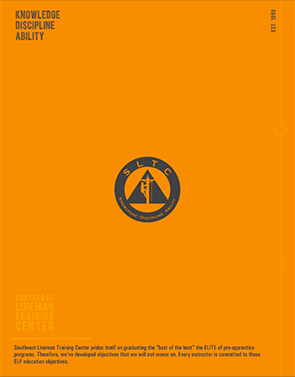 Southeast Lineman Training Center offers student loans through Sallie Mae’s Smart Option Loan. 100% of Tuition, fees and living expenses are covered with the smart option loan. Do not apply for this loan until you’ve been accepted at SLTC. This federal government program allows individuals who are unemployed or underemployed to receive funds for retraining. The amount of tuition coverage will vary depending on your circumstances. Find out if you qualify by visiting your local unemployment office also known as a “One-Stop Center” or Career Center. This federal program provides financial assistance to those who are unemployed due to layoffs and plant closers. Qualification depends on your specific circumstance. Those who qualify are typically covered for 100% of retraining costs. Find out if you qualify by visiting your local unemployment office also known as a “One-Stop Center” or Career Center. Southeast Lineman Training Center offers student loans through Sallie Mae’s Smart Option Loan. 100% of Tuition, fees and living expenses are covered with the smart option loan.SLTC is approved to certify veterans for G.I. Bill Post 9/11 benefits, which pays up to 100% of program cost and housing.  Once you graduate from SLTC and enroll into an apprenticeship program you are eligible for continued VA benefits through the On-the-Job or Apprenticeship Training Program along with also receiving a salary from your employer. Most of our students use a bank loan or personally fund their education. Contact your local bank or credit union to see if you qualify to obtain a personal loan to cover your tuition and fees for the Electrical Lineworker Program. The electric power industry plays a critical role in our society on many levels. It advances the nation’s economic growth and productivity; promotes business development and expansion; and provides solid employment opportunities to American workers. It is a robust and growing industry that contributes to the progress and prosperity of our nation. It also employs hundreds of thousands of workers. As technology increases, it will require the industry to keep up with demand for power usage, which is projected to increase 23% by 2040. Translation: The industry needs a larger workforce, which is a big deal for SLTC graduates. Linework is one of the highest paying trades! Must be at least 18 years of age by the beginning date of enrollment. Must provide official high school transcript or GED. Must possess a valid driver’s license from state in which you reside. Must pass a Department of Transportation (DOT) physical examination and have the physician sign the SLTC’s Doctor’s Release Form.